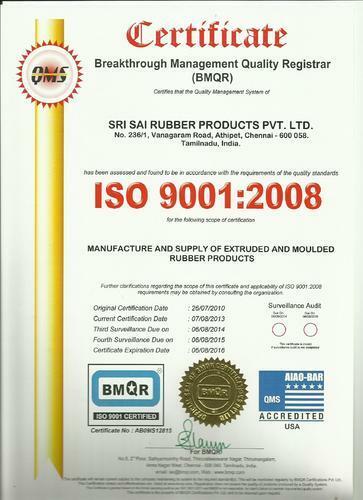 Established in the year 1997, we, 'Sri Sai Rubber Products Private Limited' are one of the leading manufacturers, exporters and suppliers of a wide range of Rubber Products such as Extruded Rubber Profiles, EPDM Architectural Gaskets, Rubber Rollers & Many more. 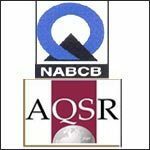 Our company is honored to have the ISO 9001:2000 certification for its all round development and serves the domestic as well as international markets. Our range of products is recognized for some of its remarkable features like high tensile strength, corrosion & crack resistant and sturdy design. These are manufactured using high quality raw material such as EPDM, Nitrile, Neoprene, Silicon, Viton and Natural rubber. Under the able guidance of "Mr. R. Ramachandran", we have been able to establish ourselves as a renowned company in the industry. His years of experience in the industry of manufacturing Extruded and Moulded Rubber Profiles and Component-sand his business ethics have been a positive factor for our company. Our product range is manufactured using top grade raw material procured from the most reliable sources in the market. The procured EPDM has gained wide acclamation for exhibiting resistance towards oxidation, ozone and the effects of weathering. Low temperature flexibility, better aging characteristics, chemical resistance, electrical properties, enhanced mechanical and elastic properties retained for a longer duration of time make EPDM better than natural rubber.